ecological (it affects the environment and food webs in many ways). Recreational Fisheries covers a range of methods, case studies and perspectives on the multidisciplinary evaluation of the benefits and costs of sports fisheries. Tony Pitcher and Charles Hollingworth, the editors of this landmark publication, have drawn together chapters from more than 30 contributors from North America, Europe, Australia and South Africa, providing a truly international perspective on a global industry. 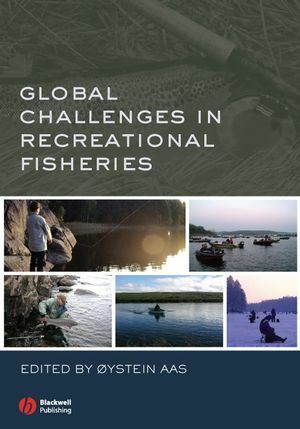 Contents include detailed assessments, evaluations and survey mthods of sport fisheries in many countries. This book is an essential reference for anyone active in the management, assessment, policy making or development of sport and recreational fisheries worldwide. All fisheries scientists and managers will require a copy of this important publication. Environmental and aquatic scientists, ecologists and oceanographers will also find this book of great value in their work. 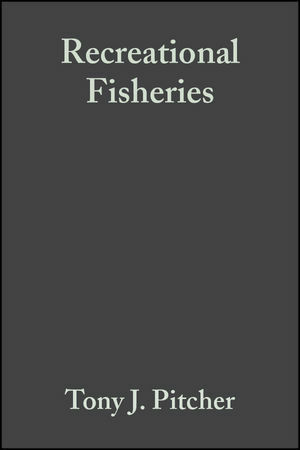 Libraries in research establishments, laboratories and universities where fisheries and biological sciences are studied and taught should have multiple copies of this book. Covers a worldwide industry of great commercial importance. Internationally known editors and contributors from four continents. Uses case studies from around the globe to illustrate the subject. A core subject essential to fisheries scientists. 1 Fishing For Fun: What's The Catch?. 2 Recreational Fishing: Value Is In The Eye Of The Beholder. 3 Economic Evaluation Of Recreational Fishery Policies. 4 Recreational And Commercial Fishers In The Namibian Silver Kob Fishery. 5 Projecting Recreational Fishing Participation. 6 Catch-And-Release Recreational Fishing: A Historical Perspective. 7 Controversy Over Catch-And-Release Recreational Fishing In Europe. 8 Maintaining Quality In Recreational Fisheries: How Success Breeds Failure In Management Of Open-Access Sport Fisheries. 9 The Importance of Angler Motivations in Sport Fishery Management. 10 Evaluating Recreational Fishing In Germany. 11 A Survey of The Economic Value of Nordic Recreational Fisheries. 12 An Evaluation of Recreational Fishing In England And Wales. 13 Valuation And Policy in Alaskan Sport Fisheries. 14 Evaluating Marine Sport Fisheries in South Africa. 15 New Large-Scale Survey Methods for Evaluating Sport Fisheries in the USA. 16 Rvaluating the Marine Recreational Fishery in South Africa. 17 The Next Chapter. Multicultural and Cross-Disciplinary Progress in Evaluating Recreational Fisheries. "The book is... well edited and produced, with useful tables and figures... throughout... this publication is a useful contribution to the extensive literature on angling and is recommended to both scientists and enthusiastic anglers all over the world." "A very important and timely book. This book gives a broad overview of the problem and a number of suggestions for a more accurate, scientific way of mitigating its effects."